Fifty years after winning his first England cap in Cardiff against Wales and as the 50th anniversary of the famous County Final against Lancashire at Redruth approaches (8th March). Penryn’s Ken Plummer talks to Radio Cornwall sports presenter Ross Ellis about his life in rugby. By Bill Hooper, photos courtesy of Simon Bryant Iktis Photo. Cornwall’s youngsters produced a scintillating performance on a glorious afternoon on the 3G pitch at Havant scoring nine tries and eight conversions to secure a place in the national quarter-finals. Whether that will be a home draw or not will depend on their final pool game against the other unbeaten side in the pool Gloucestershire whom they meet on Sunday 17th March at St. Austell RFC with a 1:30 pm kick-off. Hampshire pressurised Cornwall from the kick-off pinning them in their twenty-two, but Cornwall lifted the siege with a blistering counter that led to a try from scrum-half Owen Davey, converted by full-back Aaron Simmonds, who went on to kick all eight conversions whilst on the field. Cornwall then ran riot scoring another three tries before the end of the first quarter. Prop Jack Hodge powered over for Cornwall’s second and then turned provider with a neat kick ahead for fellow Red, centre Connor Gilbert to beat the cover and score. Lock Mawgan Osborne rounded off a fine move for the bonus point try to put Cornwall in a commanding position 28-0 up. The Cornish lads didn’t lift their foot off the pedal scoring three further tries before the break through Gilbert, his second, flanker Aden Brassington and Osborne for his brace. Hampshire bagged a consolation just on half-time when lock Balazs Magda powered over near the sticks, with skipper Nick Blumlein converting, but at 7-49 down at the turn the game was gone for the home side. Hampshire began the second half on the front foot, but an interception by Jake Penprase saw the centre race in from his own half to increase Cornwall’s lead. Cornwall’s final try came from replacement James Tucker who tore down the wing to score the only unconverted try of the afternoon. Replacement lock Noah Stanier-Smith was yellow carded reducing Cornwall to fourteen for ten minutes which allowed Hampshire to score their second try through scrum-half Ollie Burden, Blumlein adding the extras. The final whistle brought cheers from the Cornish contingent, attention now turns to the game against Gloucestershire, who beat Devon at Crediton 43-12 and are currently level on points with Cornwall with 10 points in the pool. HAMPSHIRE U.20s: Cameron McDonald (Bracknell), Ross Fraser (London Scottish & St.Mary’s University), Ollie Fielder (Alton), Cameron McGuigan (Havant), Alex Gooch (University of Loughborough), Nick Blumlein (Petersfield, capt), Ollie Burden (Alton); George Cotterell (Bracknell), Tom Mew (Bracknell), Mike Gorry (Trojans & Oxford University), Toby Warburton (London Scottish), Balazs Magda (Chichester & University of Chichester), Will Owen (Havant), Karter Whittock (Alton), Pita Koroi (London Scottish). 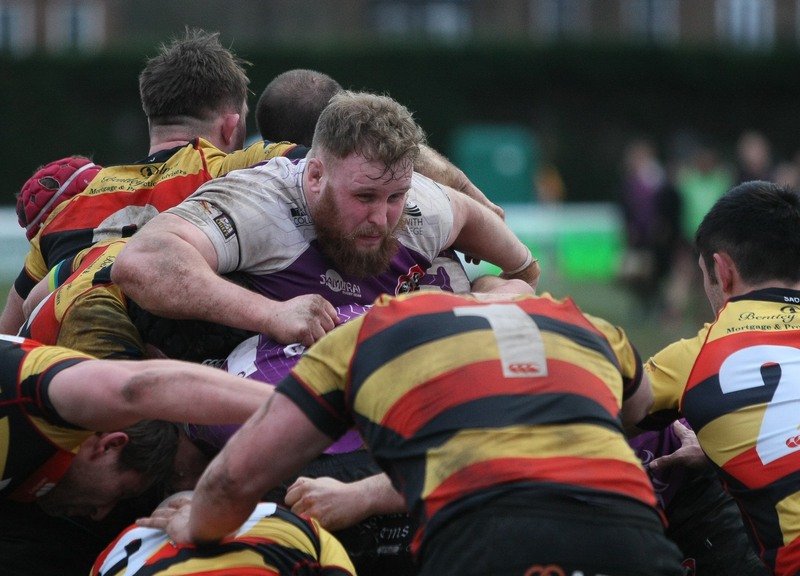 Replacements: Alex Hankins (Alton & University of Portsmouth), Sam Walker (Trojans), Adam Richards (Basingstoke & University of Portsmouth), Luke Spring (Richmond), Josh Prior (St.Mary’s University), Will Matthews (Petersfield & University of Portsmouth), Charlie Atkinson (Worthing Raiders). CORNWALL U.20: Aaron Simmonds (Redruth), Reuben Edwards (Launceston), Jake Penprase (University of Bath), Connor Gilbert (Redruth), Charlie Levick (Penryn Colts), Will Trewin (Cardiff Met University), Owen Davey (Truro); Jack Hodge (Redruth), Rory Mead (Bude), Chae Jenkins (Launceston), Dan Goldsmith (Launceston), Mawgan Osborne (Penzance and Newlyn Colts), Harry Lightfoot (Launceston) Aden Brassington (St.Ives), Torin Clarke (Launceston, capt). Replacements: Luke Barnes (Redruth), Cain Worley (unattached), Eddy Hall (Pirates Amateurs), Noah Stanier-Smith (Camborne), Jamie Murray (Redruth), Alistair Harding (Falmouth), James Tucker (Redruth). Cornwall scores: Tries, Davey, Hodge, Gilbert 2, Osborne 2, Brassington, Penprase, Tucker, Cons, Simmonds 8. Cornwall U.20s ran in eight tries as they defeat Hampshire U.20s 61-14 at Havant in their second pool match in this season’s Jason Leonard Cup. St. Austell Brewery was once again the venue for this season’s pre Championship get together. CRFU Chairman Denis Preece welcomed the players and coaches to this important event where the players and coaches have a chance to discuss plans for this season’s campaign. Denis also thanked St. Austell Brewery for laying on the evening and their continued support for the Cornwall team and rugby within the Duchy. Denis thanked both companies for their on-going support. Graham Dawe will once again be head coach assisted by Marek Churcher. Despite the obvious disappointment how last season’s campaign went, Dawe is as ever the optimist. He said. “Well it’s down to the players at the end of the day and how much they want it, I truly believe that there is still a huge thrill for Cornish players to pull on the black and gold shirt. It’s the perennial problem with the way the Championship is situated in the calendar right at the end of a long hard season, for some players they have had enough, for other they are hungry for more and want to pull that shirt on their back. I want every player in Cornwall wanting to play for their county side. Dawe’s aim is quite simple, to go to Twickenham with his Cornwall side and win the Bill Beaumont Cup. “I am firm believer that if you are in this competition then you have to aim for the top, nothing else will do. We have to have that belief because the Cornish support expects and demands nothing less. Dawe knows that a good start is paramount and that means a win on the road against Kent. “A good start is always important as it tends to set the momentum. A couple of years ago we had a good win up there in a close game. We will go up there with a game plan and the players who will deliver that plan. After a pasty supper the evening concluded with a quiz set by John Martin and a raffle with proceeds going to this season’s chosen charity #Cry4Tom, in memory of Thomas Demaine. Please see the link for further information. 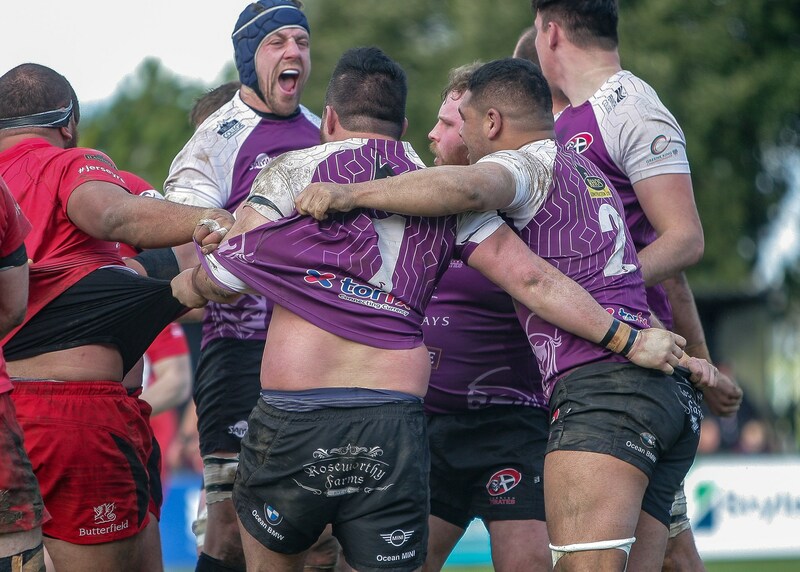 Cornwall Rugby Football Union (CRFU) Under 20 County Championship campaign 2019 moves to the second pool game in the Jason Leonard Cup. Cornwall will play Hampshire at a new venue of Havant RFC on the 3G pitch with a 13:30 kick off time on Sunday February 24. Cornwall welcome back last season’s skipper Torin Clarke, who missed the last game through injury. Elsewhere in the pack Mawgan Osborne, who came on as a replacement against Devon, partners Dan Goldsmith in the second row. Harry Lightfoot another replacement against Devon, starts in the back row in place of try scorer last time out, Harry Somers. In the backs there is just the one change with Penryn Colt, Charlie Levick coming onto the wing in place of Alistair Harding who drops to the bench. Other changes to the bench see Luke Barnes and Cain Worley as front row cover, Eddy Hall as a forward replacement, whilst James Tucker, part of last season’s team, comes into the squad as half-back cover. The final pool game will again be hosted by St Austell RFC on Sunday 17 March where the opponents will be Gloucestershire. Jake Penprase (Bath University) Connor Gilbert (Redruth) Reuben Edwards, Dan Goldsmith and Harry Lightfoot (All Launceston) with their caps. Photograph courtesy of Simon Bryant. Camborne Rugby Club stalwart Alan Truscott was a deserved winner of the RFU President’s Value the Volunteer Outstanding Contribution Award presented to him at the recent England v France game at Twickenham by coach Eddie Jones, reports Camborne Media Officer Martin Symons. Truscott’s association with the Cherry & Whites has lasted more than 50 years during which time he has given sterling service as a player, coach and administrator. He joined Camborne RFC aged 17 in 1963 and wore the famous jersey in over 200 1st XV games mostly at fly half until retiring at the age of 30. Truscott then moved straight into coaching the ‘Town’ senior team from 1976 through their fantastic centenary year in 78 and on until 1981. He then became a club selector and assisted with coaching for several years during the 80’s and early 90’s. For 6 years he was a Cornwall selector during which time the Black & Golds reached the county final at Twickenham on 2 occasions (1998/99) winning once. Later he became Camborne’s Director of Rugby in 2006, then held the dual role of Chairman/ DoR in 2008, continued as Chairman until 2013 and became Chairman for a second tenure in 2015 until standing down in 2017. For his efforts and long service Truscott was made a Life Member of Camborne RFC in 2014 and awarded Camborne Town Council plaque for ‘dedicated voluntary work’ in 2016. By Bill Hooper, at the Recreation Ground. Photo, Dan Barbary. 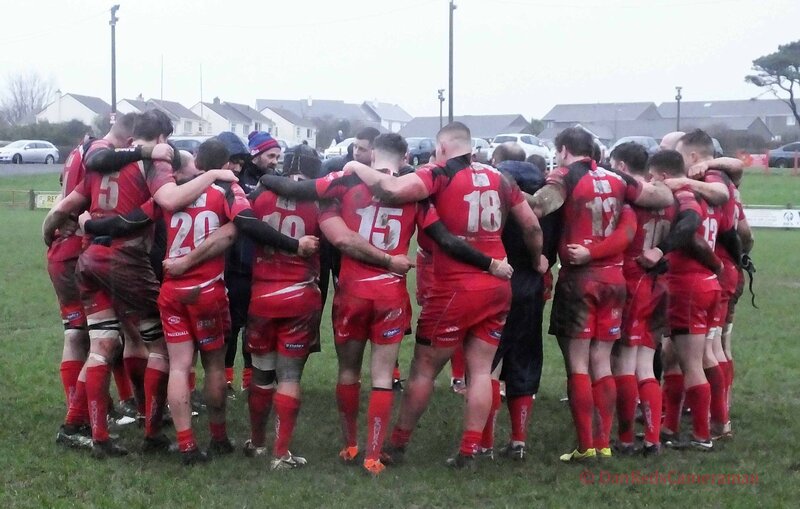 A stirring second half performance from Redruth saw them home to a comfortable bonus point win. Director of Rugby Nigel Hambly was pleased with the win but felt his side could have played better. “It was good to get the win but we could have played better”, was his blunt assessment. “We didn’t bring a lot to the table in the first half regarding ambition or pace. In the first half we were a bit flat. Wild Geese took an early lead with a penalty from fly-half Liam Prescott, but that proved to be as good as it was for the visitors. Redruth stormed back with an excellent try from scrum-half Rob Coote beating several defenders to dot down near the posts. Full-back Aaron Simmonds having missed the conversion, made up for it with a penalty soon after. The score stayed 8-3 until half-time as the game turned into a stop start affair, much to the annoyance of the crowd. Simmonds then scored the fourth try himself following good work down the touch-line by No.8 Sam Stevens out of defence and then replacement wing Dean Bonds with the scoring pass. The icing was put on the cake late on with further tries from centre Connor Gilbert, following good work from man-of-the-match Coote and then replacement Matt Gidlow as the forwards and Pale Nonu drove him over the line, Kevern adding the final conversion. The final whistle brought huge cheers from the Redruth faithful, delighted with their team’s second half performance. Redruth: A Simmonds, T Notman, C Gilbert, N Webber, M Bowden, R Kevern, R Coote; L Kivalu, R Brown (Capt), C Williams, T Prisk, J Heazelton, E Pascoe, M Grubb, S Stevens. Replacements: J Tompsett, J Hodge, M Gidlow, D Bonds, P Nonu. Redruth: Tries, Coote, Kevern , Bowden, Simmonds, Gilbert, Gidlow , Cons, Simmonds 2, Kevern , Pen, Simmonds. Wild Geese: Pen, Prescott. Midway through the half the Pirates leaked a second score which followed the sin-binning of flanker Matt Bolwell. He was fully committed chasing scrum-half Alex Schwarz’s kick, but at the point of impact with an opposition player the referee deemed it a foul and had no hesitation in reaching to his pocket for ‘yellow’. As for the score mentioned, that followed another penalty kick and, yes, another catch-and-drive. It was one that was also truly impressive, as from some 20 metres out the driving maul ended with another home ‘Will’ the try-scorer, this time in the shape of lock Will Warden. The conversion attempt, however, once again missed. In now February gloom at the RAG, the Pirates performance had actually lit matters up a little, and with a penalty awarded before the break – one slotted by Rojas Alvarez – it got just that bit brighter. At just 10-8 come the half-time whistle it was all to play for. Although a penalty kick opportunity from replacement Harvey Skinner went to right of the posts, the Pirates were now seemingly picking up the pace. Also, a great run down the touchline by Kyle Moyle lifted spirits as he ghosted past defenders. The home side managed to clear the danger, but it wasn’t long before Moyle was again applying pressure which led to an attacking line-out opportunity. It was also one that would prove to be well executed, ending with an unconverted try scored by Matt Evans. As it worked out, come the very end the Pirates extended their lead, a super second half display crowned with their bonus point providing try. Skipper Brett Beukeboom, Skinner and wing Robin Wedlake were involved, but it was ‘Moyler’ who popped up again and avoided a desperate attempted tackle to cement his second score – and the win. The result also saw the Pirates move up to third in the league table. At the end of the game Cornish Pirates’ co-coach Gavin Cattle was quick to give credit to Richmond for their gritty performance, praising also their good set piece. As for the Pirates, after a first half when he felt his team had made too many errors and had given away too many penalties, he was pleased with the second half reaction. He said. “During the interval we spoke about our first half performance, so it was good to react as we did in the second forty, with the bench as a whole also playing their part. “Credit to Moyler who I think is the best full-back in the league. He showed some really good touches, has a balance to his game and he took his chances well. Richmond: 15 Lewis Dennett, 14 Callum Sirker (21 Jono Woodward, 63),13 Cam Mitchell (c), 12 Henry Cheeseman, 11 Marcus Webber, 10 Rory Damant (22 Rob Kirby, 74), 9 Luc Jones (20 Jamie Gibbs, 63); 1 Will Goodrick-Clarke, 2 Rupert Freestone (16 Caldon Pike, 75), 3 Craig Trenier (17 Dave Spelman, 69), 4 Will Warden (19 Toby Saysell, 66), 5 Max Crawford (18 Charlie Lenygon, 58), 6 Jake Parker, 7 Jesse Liston, 8 Chris Davies. CornishPirates: 15 Kyle Moyle, 14 Matt Evans, 13 Rory Parata (22 Dan Koster, 63), 12 Callum Patterson, 11 Robin Wedlake, 10 Javier Rojas Alvarez (21 Harvey Skinner, 44), 9 Alex Schwarz (20 Alex Day, 66); 1 Marlen Walker (17 Tom Concu, 66), 2 Sam Matavesi (16 Dan Frost, 50), 3 Christian Judge, 4 Danny Cutmore, 5 Brett Beukeboom (c), 6 Josh Caulfield (18 James McRae, 50), 7 Matt Bolwell (19 Tom Duncan, 69), 8 Dan Lee. Scorers: Richmond – tries: 1 Will Goodrick-Clarke (13), 4 Will Warden (20).Cornish Pirates – tries: 6 Josh Caulfield (23), 14 Matt Evans (60), 15 Kyle Moyle (74, 80); pen: 10 Javier Rojas Alvarez (38). Speaking after the Cornish Pirates successful afternoon’s work, co-coach Alan Paver said.“The game was a good arm wrestle with both sides very competitive and even on the day. “They were hurt come the final whistle, as we were when losing at the end against Coventry in the league recently, but we needed this result. Our track record in Jersey hasn’t been good, so to emerge from what was certain to be a tough battle and get over the line with a win is a big mental plus for us”. Jersey Reds: 15 Brett Herron, 14 Jack Stapley, 13 James Newey, 12 Mark Best, 11 Leroy Van Dam, 10 Aaron Penberthy, 9 Will Homer; 1 Roy Godfrey 17 Harry Morley, 52), 2 Charlie Maddison (16 Nick Selway, 48), 3 Leeroy Atalifo (18 Sam Rodman, 59), 4 Jerry Sexton (capt), 5 Dave McKern (19 Charlie Beckett, 64), 6 Rory Bartle, 7 Max Argyle, 8 Janco Venter. Replacements (not used): 20 Kyle Hatherell, 21 Hilton Mudariki, 22 George Eastwell. Cornish Pirates: 15 Kyle Moyle, 14 Alex O’Meara (22 AJ Cant, 08) , 13 Rory Parata, 12 Callum Patterson, 11 Robin Wedlake (21 Dan Koster, 67), 10 Javier Rojas Alvarez, 9 Alex Day (20 Alex Schwarz, 60); 1 Marlen Walker, 2 Sam Matavesi, 3 Tom Concu (17 Christian Judge, 10), 4 Danny Cutmore, 5 Brett Beukeboom (c), 6 Toby Freeman, 7 Matt Bolwell, 8 Dan Lee. Replacements (not used): 16 Dan Frost, 18 Jake Clemson, 19 James McRae. Scorers: Jersey Reds – tries: 11 Leroy Van Dam (10); con: 10 Aaron Penberthy (10); pens: 10 Aaron Penberthy (57, 69). Cornish Pirates – tries: 6 Toby Freeman (63), 21 Dan Koster (75); cons: 10 Javier Rojas Alvarez (63, 75) pen: 10 Javier Rojas Alvarez (40). With the final play of the game centre Jake Penprase, surged towards the try-line from a horde of players, to dot down bonus point try and confirm an opening day win for Cornwall in this season’s Championship. Cornwall deserved the win in a pulsating game that flew by and was credit to rugby at this level. Cornwall head coach Josh Lord was delighted with side’s start to the Championship. He said. “I am delighted we got the bonus point win against a very good Devon side who will cause the other side’s in the group plenty of problems. I thought our game management was top draw; we made some good choices for a young side. The young black and golds made a great start with a try after just four minutes, strong running from skipper Jack Hodge and good hands from full-back Aaron Simmonds put flying winger Reuben Edwards in at the corner, Simmonds landing a touchline conversion to the roar of the crowd. Simmonds was again on the money moments later with a penalty kick to put Cornwall 10-0 up. Falmouth’s Alistair Harding looked threatening with ball on the wing as did club mate Stan Somers in the back row. Devon were give a life-line when Cornwall looked to run the ball from their own line, the Cornish player was tackled and lost possession enabling Devon to work the short side for wing Nick Headley to score an unconverted try. Devon edged a little closer when skipper Sam Brown knocked over a penalty. Cornwall’s scrum-half Owen Davey had a tidy game as did No.8 Jamie Eddy, whilst the mid-field combination of Gilbert and Penprase looked threatening when they had the ball. It was a titanic struggle at the breakdown and at time tempers flared but Cornwall’s nerves were soothed when Simmonds went over in the corner following a fine mid-field break from centre Connor Gilbert. Simmonds missed the conversion as he did a penalty chance shortly after to leave Cornwall 15-8 up at half-time. Devon began the second half strongly aided by a yellow card to Cornish lock Noah Stanier-Smith. Further pressure saw Devon’s flanker Nathan Davies go over, with Brown adding the conversion to tie the scores 15-all. Cornwall needed a score and it came from Somers following good forward play, with Simmonds obliging with the conversion. Devon wouldn’t lie down and they scored a third try when prop Callum Davies was driven over, crucially the conversion hit the post and stayed out. Cornwall’s win was secured with the final play when Penprase dived through from a powerful maul with Simmonds adding another conversion. The final whistle was greeted enthusiastically by the sizeable crowd in the grandstand. Huge credit must go to the trio from Redruth Hodge, Gilbert and Simmonds who only got home in the early hours of Sunday morning have played for Redruth at Canterbury the previous day. Cornwall: 15 Aaron Simmonds (Redruth), 14 Reuben Edwards (Launceston), 13 Jake Penprase (Bath Uni), 12 Connor Gilbert (Redruth), 11 Alistair Harding (Falmouth), 10 Will Trewin (Cardiff Met), 9 Owen Davey (Truro); 1 Jack Hodge (Redruth) (Capt), 2 Rory Mead (Bude), 3 Chae Jenkins, 4 Dan Goldsmith (both Launceston), 4 Noah Stanier-Smith (Camborne), 5 Stan Somers (Falmouth), 7 Aden Brassington (St. Ives), 8 Jamie Eddy (Pirates Amatuers) Reps 16. Harry Lightfoot (Launceston), 17 Mawgan Osborne (Pz & N Colts), 18. Eddy Hall (Pirates Amateurs), 19. Alex Bartlett (Launceston), 20. Jamie Murray (Redruth), 21 Adam Long (Camborne), 22 Ben Plummer (St Austell). Cornwall scores: Tries, Edwards, Simmonds, Somers, Penprase, Cons, Simmonds 3, Pen, Simmonds. Devon: 15 Ollie Gibbon (Topsham), 14 Nick Headley (Exmouth), 13 Will Lamont (Ivybridge), 12 Sam Brown (Taunton) (Capt), 11 Bradley Down (Hartpury), 10 Harry Ottaway (Newton Abbot), 9 Sam Fulthorpe (Exmouth); 1 Callum Wood (Exmouth), 2 Martinas Dromantas (Barnstaple), 3 Callum Davies (Bideford), 4 Ethan Pearce (Crediton) 5 Dan Armstrong (Exmouth), 6 Nathan Davies (Ivybridge), 7 Rudi Evans (Topsham), 8 Asipeli Vea (Sidmouth). Reps: Owen Garner (Ivybridge), Reece Bartlett (Devonport Services), Toby Turner (Kingsbridge), Jake Smith (Exeter Athletic), Reegan Spencer (Plymstock Albion Oaks), Finlay Marks (Topsham), Will Throgmorton (Newton Abbot).